One Momma Saving Money: Rustic Halloween Signs - Was $22.99 - Now $11.99 + Free Shipping! 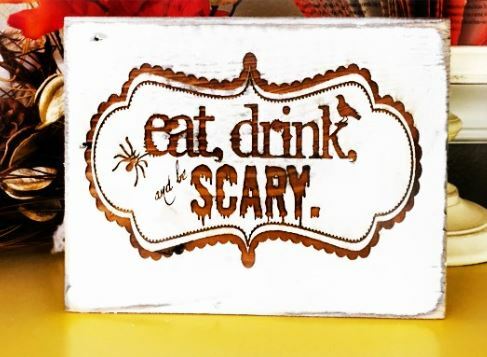 Rustic Halloween Signs - Was $22.99 - Now $11.99 + Free Shipping! Make decorating for the holidays easy with our darling Halloween signs! Hang them on a wreath at your door or dress up the mantle. The options are endless! We engrave each piece so that it will stand the test of time (and weather) at your front door. Each piece measures approximately 5.5" x 7" and is about 3/4" thick. Our rustic barn wood signs are handmade from authentic rustic barn wood right here in Mapleton, Utah USA. Grab one for friends and family! They make darling gifts!